Your next chance to take this course will be October 2018. Don’t delay! Register here. 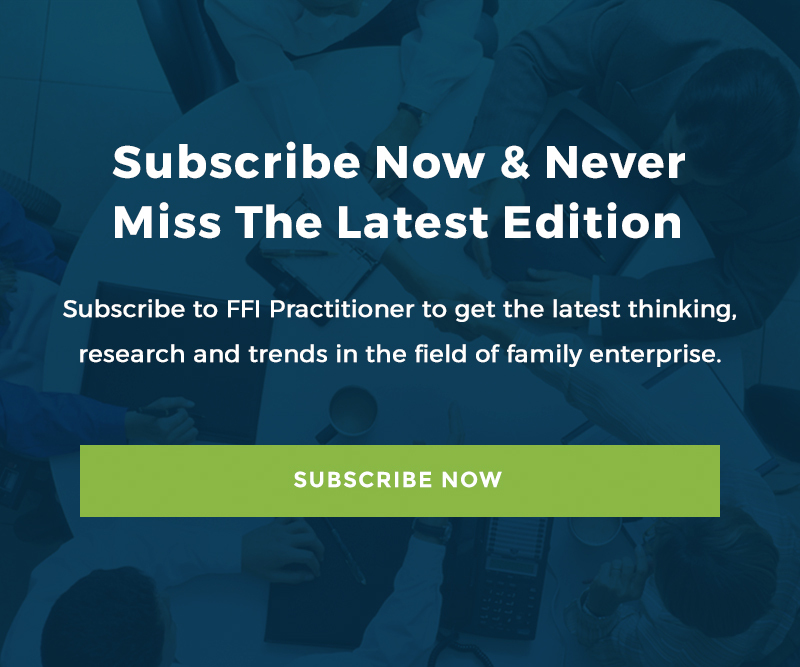 Andrew Hier, FFI Fellow, is senior partner with Cambridge Advisors to Family Enterprise in Boston, where he assists clients with ownership, business and family issues, including development of the next generation and conflict management. Lloyd Steier, FFI Fellow, is former vice chair of the FFI board of directors and the recipient of the 2010 Barbara Hollander Award. He holds the Distinguished Chair in Entrepreneurship and is director of the Family Centre for Entrepreneurship and Family Enterprise at the University of Alberta Business School.